NEW DELHI: Overseas holidays are set to go for a toss this summer with the debt-ridden Jet Airways cancelling all its international flights. Customers, who have booked tickets months in advance, are seeking refunds from online travel agents (OTAs) who in turn are directing the requests to the airline. “This is a very unfortunate situation for all three: the airline, customers, and OTAs. We are seeing a spike in customers seeking refunds. People book for international travel months in advance and Jet had a good inventory for international flights. There is delay in the way refunds are coming to the OTAs. We have to then ask the customers to wait for some time till we get the refunds from the airline. All the OTAs are being cautious on that front. This will change the way people plan their breaks,” said Abhishek Rajan, VP, Paytm. Jet Airways announced on Thursday evening that it was cancelling its remaining overseas flights to Amsterdam, Paris and London. ET had reported that over the past few months, Jet had suspended operations in more than 15 short haul destinations, including the Gulf, South East Asia and SAARC countries. “Cancelling of Jet’s westbound international flights is affecting over 1000 passengers daily,” said Kapil Goswamy, MD, BigBreaks.com. “With the holiday season round the corner, this is going to have a serious impact on leisure travel, both from and within India. With almost all of Jet Airways flights being grounded now, the pressure on availability of seats on other airlines has already begun, and as a result, fares for both travel from and within India have increased by about 25%,” he said. India’s biggest OTA MakeMyTrip said it is monitoring the situation closely to provide meaningful customer support to ensure minimum hassle for flyers. “With Jet Airways’ curtailed operations, we are currently offering flight options for travel up to only next three days (D+3),” said a spokesperson from the company. Thomas Cook, another OTA, said it is helping customers to travel by helping them shift to other airlines with minimal disruptions to their holiday schedule. Travel industry experts said customers of OTAs are likely to struggle more with refund requests than travel management companies because of differences in payment modes like BSP. “OTAs that offer deep discounting get special prices from airlines and purchase tickets directly from the airlines in bulk. Which is why they have to wait for the airlines to issue refunds to them before they can refund customers. Travel management Companies (TMCs) use IATA affiliated BSP (the billing and settlement plan) while booking with airlines which means that BST acts as an intermediary,” said a TMC executive. “BSP is the middle party to whom payments are made by TMCs at the end of every billing cycle and the entity collects the outstanding for all airlines and bills it to the airlines directly. Airlines cannot say no to BSP in cases of refunds which is why TMCs would be able to process refund requests and can settle it with BSP. Unless BSP sends a notice saying do not process Jet Airways refunds from the BSP system because we will not be liable to pay you the refunds. There is no notice yet,” the executive said. 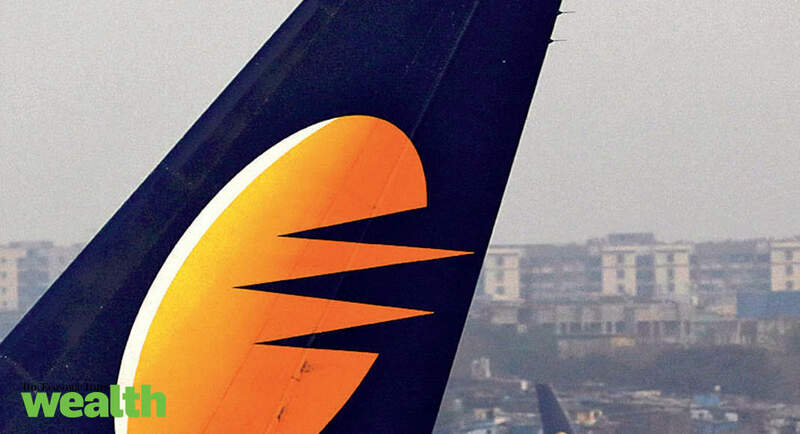 Another executive said his company had started discouraging passengers from booking Jet Airways flights about three weeks ago.